Letters from Panduranga evokes the fate of the Vietnamese Cham community, whose territory is threatened by the construction of two nuclear power plants. 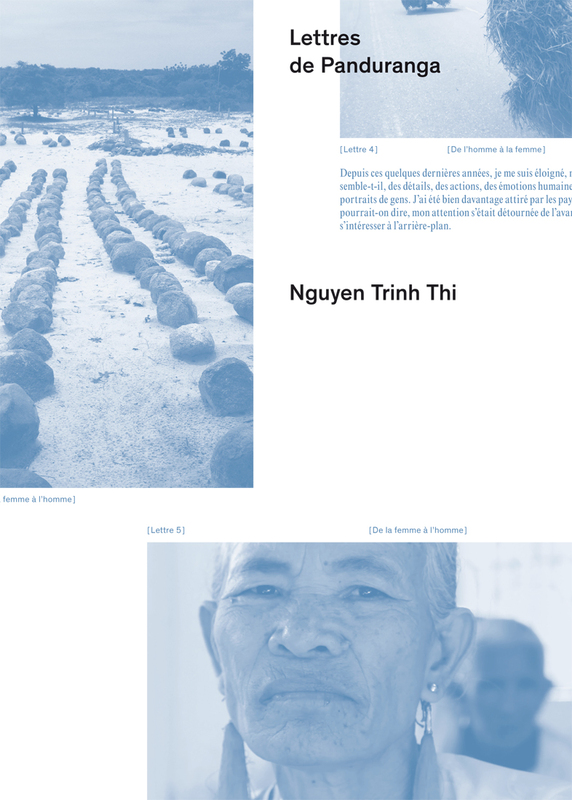 Acting as an ethnologist Nguyen Trinh Thi explores the issues related to speech and history as well as new forms of colonialism. Nguyen Trinh Thi’s practice is a personal and poetic layering of hidden histories and current events that deftly speak to issues of censorship through the perspective of the documentarian, the artist, the collective.Letters from Panduranga is an essay film portraying a Cham community living in Ninh Thuan, Vietnam, under circumstances that threaten their very existence. Known as Panduranga, it is the last surviving territory of the ancient matriarchal kingdom of Champa. The Vietnamese government is to build the country’s first two nuclear power plants in Ninh Thuan by 2020. Public discussions regarding the project have been largely absent in Vietnam due to strict government controls over public speech and media. Through a network of Cham scholars, the artist spent a number of residency periods in Ninh Thuan. Challenged with questions of accessibility, of representation, and of speaking on behalf of the other, Nguyen Trinh Thi says, “As artists, we have contradictory desires: to be engaged, but also to disappear.” Nguyen’s portraits, landscapes, and voices in Letters from Panduranga offer layered and incisive reflections around fieldwork, ethnography, ongoing colonialisms, and the role of the artist. Published on the occasion of the eponymous exhibitions at the Jeu de Paume, Paris, October 20, 2015 to January 24, 2016, and at the CAPC musée d’art contemporain de Bordeaux, November 26, 2015 to February 14, 2016. This entry was posted in Culture & Development [Văn hóa và phát triển], Discussion [Thảo luận], History [Lịch sử], News [Tin tức], Sharing Experiences [Chia sẻ trải nghiệm] and tagged Media, Nguyễn Thị Trinh, Panduranga. Bookmark the permalink.